A total number of five accused have been arrested in Ayub Pandith’s lynching case. 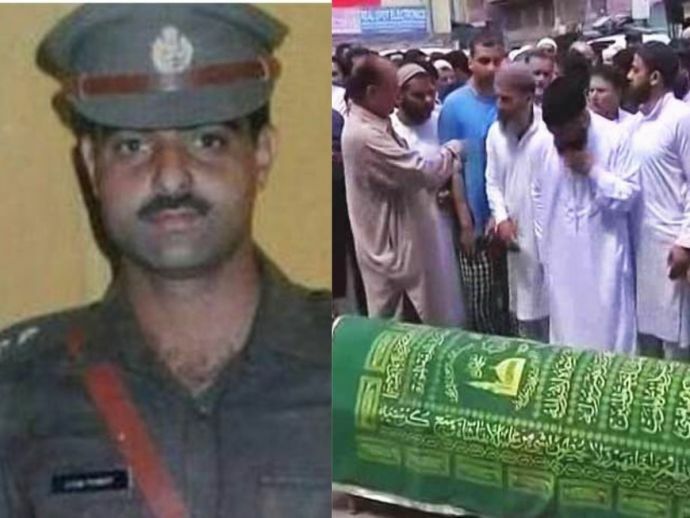 Jammu and Kashmir Police nabbed three more accused in the lynching case of deputy superintendent of police Mohammed Ayub Pandith. A total number of five accused have been detained as of now. Jammu and Kashmir Police informed on Twitter about 'Special Investigative Team' which will ensure a speedy investigation into Pandith's lynching. #Martyr DySP Mohammed Ayub Pandith murder case. SIT formed for speedy investigation. Three more https://t.co/ifJ0QA1hZn arrests five. In a heart-wrenching incident, DSP Ayub Pandith was brutally attacked and stoned by a mob outside the Jamia Masjid in Srinagar on Thursday night, when he was on duty. As per some media reports, Pandith was on frisking duty outside the Jamia Masjid as it was the Laylat al-Qadr (a big night in the month of Ramadan) and most of the people were offering prayers inside the mosque. Pandith was reportedly clicking pictures of people coming out of the mosque. Which mislead people and an altercation started, however, Pandith fired three times with his service revolver in self-defense but that made the mob madder and they stoned him to death. Jammu and Kashmir Chief Minister Mehbooba Mufti called it "shameful" offense and asked for an inquiry. In a report published in ABP live, Mehbooba said, "DSP Sahib considered it his own area (he lived a few kilometers from the mosque). He asked his security men to go home for the night prayers". "There can't be anything more shameful than beating a person to death while he is on duty to provide security to people," she added.